A FJI signature of plants amongst the rust and chippy wood. An FJI style ‘toybox’ with signature barn stars, rusty relics and antique checkerboards. I positively LOVE how this was set out. And as if that wasn’t enough, the most amazing chippy ladder I’ve ever laid eyes on. I am a ladder fanatic. An antique tool tote anyone would go crazy for loaded with clay goodness… stacks, layers, rustic, wood…. Sharon, from Elizabeth and Co! Miss Mustard Seed deemed Sharon’s entry the winner because she honestly felt like her work was mine. And I whole heartily agree 100%. I LOVE your entry, Sharon and am thrilled the win went to you! Let’s go for a little walk around her blog, shall we? 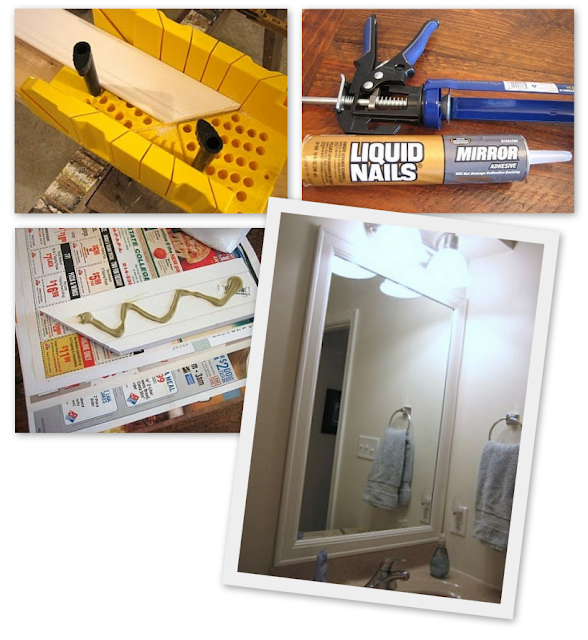 Well now… if you’d like to learn how to frame a mirror from scratch, Sharon’s got an AWESOME tutorial HERE. Ohhh… and check out the trumeau mirror Sharon whipped up for the Miss Mustard Seed style Copy Me Challenge. Gorgeous! 2010 appears to have been an amazing year for Sharon. In May 2010 she fired up her blog. 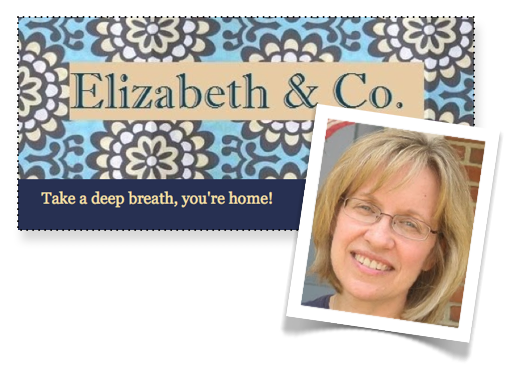 She also joined forces with friends Karla and Susan and created Elizabeth and Co. Vintage. How fun! They held their first vintage tag sale in September and made out like bandits! I mean, take a look at the stunning transformations. 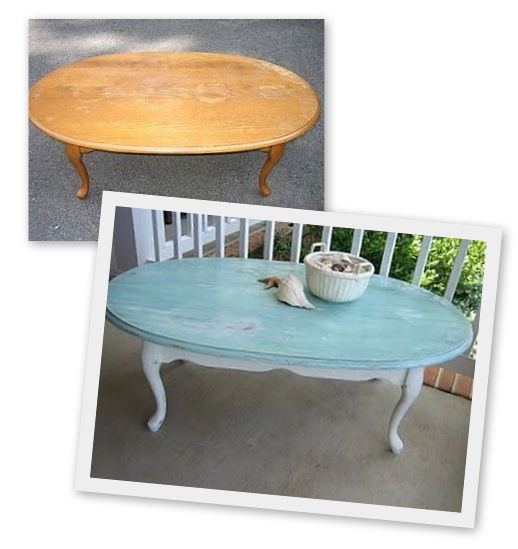 Isn’t the topper on that table the most wonderful patina? Um… MMS.. did you catch this one? Love the hazy white highlights. This glaze shadows this amazing piece in all the right places. How fun! I would have loved to wander through here. Isn’t this clever for a house number? Customers kept wanting to buy it. I would have too! Sharon also isn’t a stranger to SNS. This was one of my most favorite tutorials she posted. Ice candles with real cranberries, how gorgeous! You can check out all of the above in Sharon’s Best of 2010 post HERE. Oh, lovely! Sharon’s into vintage too. Isn’t this entire Christmas vignette delightful? Love that sign! Oh my word… check out this outstanding piece… yup, she does vintage VERY well. I love the vintage tool boxes on top of this wonderfully chippy cabinet. Love how wide the glass doors are. Sharon, your home is beautiful, what you’ve created with your friends is so cool, and your work outstanding. And congrats! Loved your entry so very much. It was a complete pleasure wandering through your blog. Sharon’s win will be custom made for what she desires, so Sharon, I’ll be in touch with you. 🙂 Stay tuned for more on that one. Care to check out Sharon’s blog? Here you go! Thanks to everyone for being a part of this amazingly fun challenge and another congrats to the five finalists. I know first hand how difficult Miss Mustard Seed’s decision was. Equally grueling was my own choice over at Miss Mustard Seed’s. You can check it out HERE. Sharon is one talented lady! And she has nailed your style, Donna, and made it her own. Congratulations, Sharon! I think Sharon has an awesome blog and she is loaded with talent. I was in awe of her trumeau mirror! Congrats on picking a worthy winner. What a wonderful choice! Sharons blog is awesome! …Wow ITs like you guys where separated @ birth!…Congradulations! Oh Donna, I can’t even begin to tell you how honored and thrilled I am! Seriously, I can’t even make my fingers type right now! I am constantly amazed and inspired by what I see at Funky Junk Interiors. But most of all, I am inspired by the girl behind the blog. Thank you for sharing so much of yourself with all of us! And this challenge was just so much fun! You will laugh when I tell you this, but even after I posted my entry, I kept seeing things around my house that I should have included. I really do love funky junk! Thanks so much to both you and Marian for this wonderful experience. And the girls at Elizabeth & Co. are thrilled too. Thank you from the bottom of my heart! Hi – I just hopped over from Beyond the Picket Fences, and am now your 4,520nd follower! Wow! Great blog! OOO, she did such a fabulous job. Her home and style is amazing. Congratulations to her for a job well done! I had left her a comment when she first posted, saying she should definitely be in the top 5….how thrilling…and fitting…that she won! She has got you DOWN! Congrats!…. (now going to check out her blog a bit). Congratulations! Sharon nailed your style! Congratulations Sharon. Way 2 go. What a well deserved win! Congrats Sharon!! Congrats to Sharon… she nailed it. Such a deserving win. Hopping over to check out her blog. Great job to all who entered. I am sure glad it wasn’t me having to make that decision. I think she did a wonderful job and I really love the mirror as well. Everything was YOU!!! Wow! She did a fantastic job!!! And it looks like, from her style, that she will be keeping it all UP! How fun!!! Congratulations Sharon! 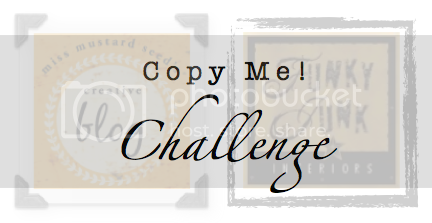 I’ll be hopping over to your blog to meet you in ‘person’! Sharon really is a talented lady, congratulations to her on winning! What a fun post, Donna! including YOU : ) !! Good morning! I am your eternal admirer, I love your photos! Always use on my blog … a time when you come to meet me! Congratulations on your blog and abraçoaqui from Brazil! 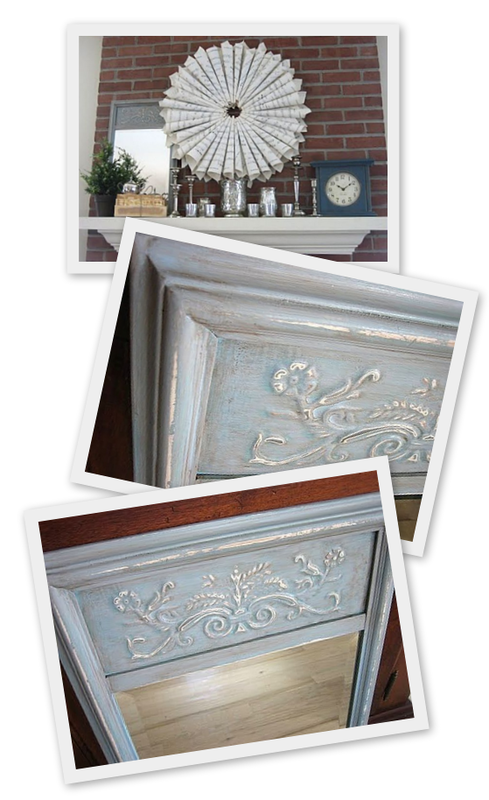 Congratulations – and your vignettes (and home, and all of your fabulous refinishes and glaze work) are amazing! !